﻿ Mercure Koh Samui Beach Resort (Thailand) | FROM $55 - SAVE ON AGODA! "next time I will bring a friend as it's very romantic." Have a question for Mercure Koh Samui Beach Resort? "Very nice breakfasts and a free shuttle to nearby Lamai." "During the day the hotel provides free transportation Cheweng is busier and more activity and fun." 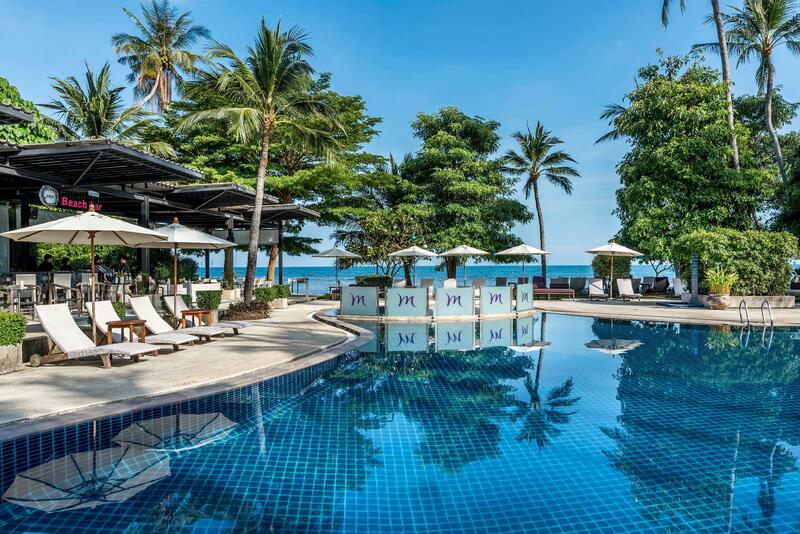 Nestled in the heart of Lamai, Mercure Koh Samui Beach Resort is an ideal spot from which to discover Samui. Only 25km away, this 4-star hotel can be easily accessed from the airport. 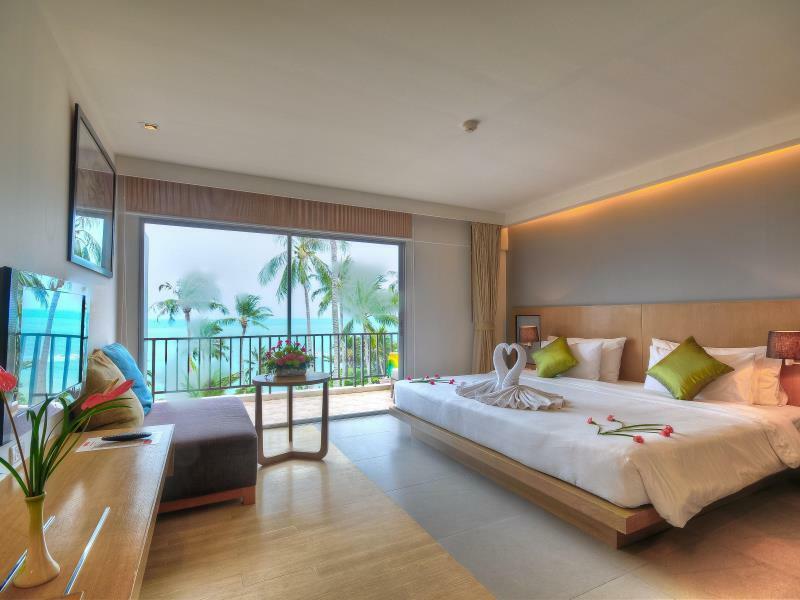 A haven of rest and relaxation, the hotel will offer total renewal just steps away from the city's numerous attractions such as Beach Republic Club, Hin Ta Hin Yai, Samui Aquarium, and Tiger Zoo. 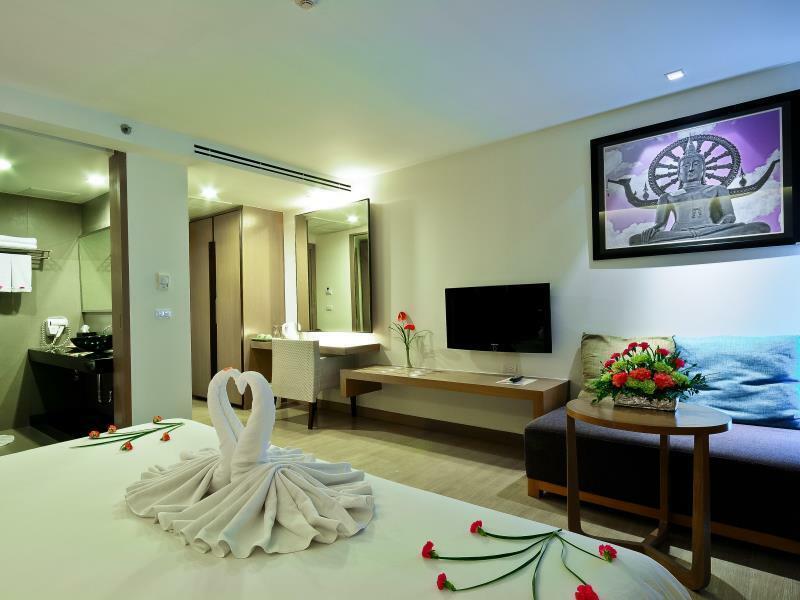 The excellent service and superior facilities here make for an unforgettable stay. To name a few of the hotel's facilities, there is a poolside bar, bar/pub, Wi-Fi in public areas, shuttle service, and room service. 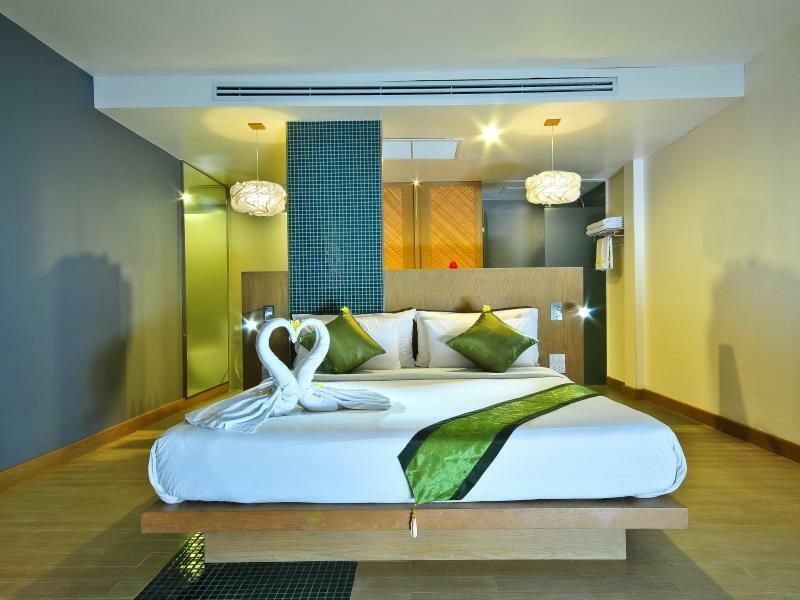 Mercure Koh Samui Beach Resort is home to 60 bedrooms, all tastefully furnished to provide comforts such as air conditioning, complimentary bottled water, satellite/cable TV, and a mini bar. The hotel's host of recreational offerings ensure you have plenty to do during your stay. Mercure Koh Samui Beach Resort is a smart choice for travelers to Samui, offering a relaxed and hassle-free stay every time. "Friendly staff, nice size room and great bed"
Very nice place with a great quiet location. Great food and great staff. Try to avoid the side building, its old and the rooms are a little worn down and it smells fungus. We rented a sea view room but unfortunately we ended up in that old building where you see the sea but it’s kind of outside the hotel. Other than that, great place with very nice and friendly staff. Granted I've only stayed at five resorts in Samui to-date (excluding Fenix), this one is so far the best I've stayed at. We originally planned our stay with Coconut Beach resort for five days but left there on the second day and came to the Fenix resort. Fenix resort collected us from Coconut Beach resort and upon arrival were very warming with their welcome and assisted us to our room. The hotel even upgraded us at no charge (but obviously we just got lucky, this isn't to be expected every time). The room at first sight was clean, spacious, massive bed, decent lighting (many hotels/resorts have such poor room lighting). The balcony and view was great, however I feel sorry for those below us as our room did overlook all other remaining balcony's, fortunately we didn't have anyone above us that could overlook our balcony. The in-room wifi can be a bit temperamental, but is usually OK. Otherwise I have no complaints about this resort. It's close to a couple of attractions already, overlap stone, valentine stone, hin ta/hin yai rocks. They also provide free shuttle service into Lamai main street. As a suggestion too, walk up the road for about 5 minutes and find a rental shop by the name of M.A Travel. They can assist you with bike rental (even if you forgot to bring your license like I did), boat trips and even a transfer back to the airport. The hotel transfer is a bit more expensive so easier to use this kind of shop. Great ocean views rooms. Attentive staff. Quick room service. Boiler/air con units pretty noisy from 4th floor (Room 4201) although views made up for that. Extended our initial stay, even though 15mins on bike from the action on Chaweng Beach. Good security here too. The hotel is beautiful and new. Staffs are very nice, they will answer anythings you want to know. There have a travel information counter. The breakfast buffet do not have many food choices. Location is far from Chaweng center, by taxi need around 20 minutes. If go to Lamai center from hotel around 5 minutes by mini-taxi. very nice hotel, great swimming pool, and it also have a private beach, although we can not really playing sand because the wave is high here. the room is okay, bed is big (it can fit to 4 person i guess). they have a shuttle from the hotel to lamai center every night, but remember to book 2 hours before so they can prepare for the car. overall everything is okay here. Friendly staff, huge bed, great view easy to get around. I booked this hotel at very short notice while in Samui. I was not even sure where it was. When i first saw it I was concerned about the location as it is on the main road. Once I got to my room that all changed. I had a great view of the beach and the pool. The room was very clean and the bed was huge!! The location was not a problem as there was no noise forom the road which made it very easy to get around. It is a short distance to lamai and there is scooter hire directly accross the road. I would stay at this hotel again. I actually increased my stay another 2 days. The Pool was being renovated during our stay, but would have been fantastic otherwise. The superior king room was amazing. Have not ever seen a bed that big before. Look out from the balcany was great. Pool was being renovated during our stay, but we were not advised until we checked in, considering we contacted Mecure prior to our arrival. We did however get provided breakfast for 5 of the 7 days we were there as compensation. Breakfast was wonderful. Very nice staff and the cooked to order food from the friendly chefs made our stay even more woth while. Some of the front desk staff could not speak english very fluently, so was hard to ask them for services. This hotel is very new. The staff was very friendly. The agent of the front desk was very friendly, but the price of rental car and tours was higher then others agencies. Rent a car instead of taking taxi, because the taxi is very expensive. Don't go to the restaurant near of this hotel, the people doesn't speak English and they make all your orders wrong, and then force you to accept what you didn't order. Do not stay at this resort if you think it's a 4 star. We arrived at the lobby and were greeted by an unfriendly receptionist. She proceeded to take us to our room but went to a basement floor. I stopped her and mentioned that we requested a high floor through agoda. She then told us we have to pay more money if we want to stay higher. The floor she brought us too was covered with garbage and clearly isn't cleaned nor maintained. I told her there wasn't any way we were paying $200 cad for a hotel of this low quality. She then told us if you want to cancel the booking, go do it online through agoda. We ended up cancelling the booking and paying a taxi to another resort. Stay away - the reviews are true and this is not a 4 star resort. Save your money. Lovely hotel, lovely staff, lovely pool area, and good and quiet location. But again, we spent too much time getting things fix in our rooms. first no hot water for shower, then water running from roof into oure bathroom. Then we change room, it should have been better, but not. We could not turn the jacuzzi on and off, the staff look at it many times but it never going to works. then water running from air conditioning into my face while i was sleeping. When I'm on vacation I will relax and not spend a lot of time on things that should be okay at the 4 star hotel. We have stayed at this hotel 5 times now, and if you live there for more than 2 weeks, the breakfast becomes too boring, there is no variation. And one last thing. I'm tired of staying in a suitcase for 2 weeks, your hotel rooms are big but there are no furniture where you can store your clothes, definitely not good enough. We are coming back, but we hope you listening to our criticism, and we get the room we ask for. Very nice hotel with spacious, well appointed rooms although very little storage. Lovely setting above beach with very nice pool and bar and restaurant beside pool but beach very stoney and not good swimming. One drawback was many steps down from room to pool and beach, which was a struggle for my wife who walks with a stick. Very nice breakfasts and a free shuttle to nearby Lamai. Had a great stay at this lovely hotel.... Stayed in one of the villas fabulous view clean & everything you need in a hotel room. Breakfast was nice loved the great coffee machine nice touch to get a good coffee or hot chocolate etc. Egg station excellent brilliant to be able to get any eggs of your liking. Pool area fantastic plenty of beds to enjoy the sun.. Would gladly stay again & recommend it to friends keep up the great work.. Fantastic bar staff with affordable drinks and great food by the pool. Regular shuttle during the afternoon into to the evening to Lamai centre (hotel is a little on the outskirts!) Staff attentive and happy to help Good room with large bed and sea view! Location, just down the road from central lamai, with its own beach. Very clean and modern, which is great. And a fantastic pool and bar area. Really enjoyed my stay, easy to get to by motorbike with ample parking. Room was great, although I was in the block furthest from the main hotel. Staff great. Can't fault the place other than my door being knocked on every day for room cleaning, despite the "do not disturb" sign hanging on the door. Other than that, would highly recommend a stay here. Where to begin! We moved here after originally staying in Choengmon. Sadly that was too quiet for my liking. Having stayed at this Southern edge of Lamai before I was drawn to the area again. On arrival we found that we had overlooked the fact that the pool was undergoing a refurb for September. However we gave it a chance as the staff offered to upgrade our room to retain our business. The room we were shown was fantastic with an enormous bed ( couldn't reach the edges when laying sideways). Located just South of Grandmother and Grandfather Rock the hotel was actually outside the main town by a good walk, but we generally paid 200 baht for 4 of us into town if necessary. Thus we had relatively quiet stay away from the crazy bars with the option to go out to the town when needed. The hotel is on the main road, but when the door is closed and the air con is on you can't really hear too much anyway. Breakfasts were a good assortment of UK, European and Thai. Often had a bit of a laugh as to what egg we might get after ordering, but never a problem, but just make it clear when you ask ( use the pictures ). Now back to that pool. It was quite frustrating that the pool already looked great and almost finished when we arrived, yet not ready for us until our last day. To help overcome this the staff arranged for us to use the pool at the Weekender in Lamai. (Their staff were great too and looked after us with food and cocktails all day, plus the pools were excellent too) . In summary I would highly recommend the Fenix for those wanting a reasonably quieter location within spitting distance of the usual bars. Good beaches without the crazy noise of Chaweng beach bars.